One of the recipients, Atul Rahman (School of Electrical and Computer Engineering) in M.S. program is posing for a portrait. 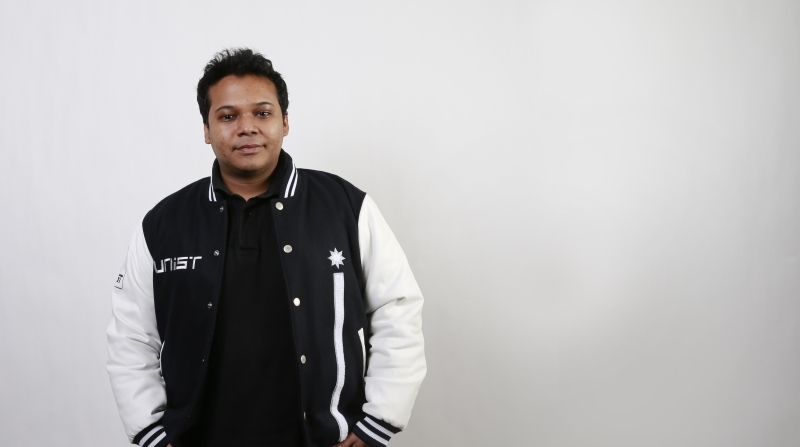 Atul Rahman is an international student from Bangladesh, pursuing a master’s in Electrical & Computer Engineering under the supervision of Professor Jongeun Lee at UNIST. He has been awarded the 2016 Samsung HumanTech Paper Award at the 2016 Samsung HTP Awards Ceremony in February. “This award has encouraged me to keep moving forward with my future endeavors in my research work,.” Rahman said. The Samsung HTP recognizes an elite cadre of creative young researchers who through competition have demonstrated excellence in research. Rahman is among seven UNIST graduate students who was recognized for research excellence with 2016 Samsung HTP awards from Samsung Electronics Co., Ltd. The winners were: Min Woo Ryu from the School of Electrical & Computer Engineering, SeoJin Choi from the School of Electrical & Computer Engineering, SungDong Lim from the School of Energy & Chemical Engineering, EuiJin Jeong from the School of Electrical & Computer Engineering, SangYoon Ji from the School of Materials Science & Engineering, and EunMin Go from the School of Energy & Computer Engineering. Rahman began his M.S. program in September, 2014 and currently works as a research assistant in the Embedded Computing Lab at UNIST. In this annual paper competition, Rahman’s paper received high praise from the judges, and earned an honor prize in the category of computer science and engineering for his award-winning paper. 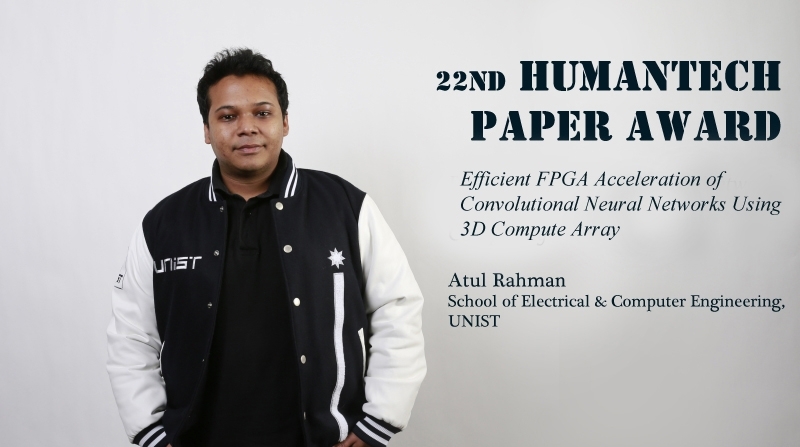 The title of Rahman’s paper is “Efficient Field-Programmable Gate Array (FPGA) Acceleration of Convolutional Neural Networks Using 3D Compute Array,” and his paper proposed a novel FPGA-based hardware architecture to accelerate the computation of state of the art brain-inspired deep convolutional neural networks. Q. What are your research interests? A. My primary research interest in broader category lies in design of hardware accelerators and the use of reconfigurable computing techniques to improve the performance of machine learning algorithms. Recent advances in deep learning are in large part due to the increased computing capability of offthe-shelf processors. To enable further advances in this direction, my research explores the use of “programmable hardware”, or Field-Programmable Gate Array technology, for the acceleration of deep neural networks, such as Convolutional Neural Networks (CNNs). Q. 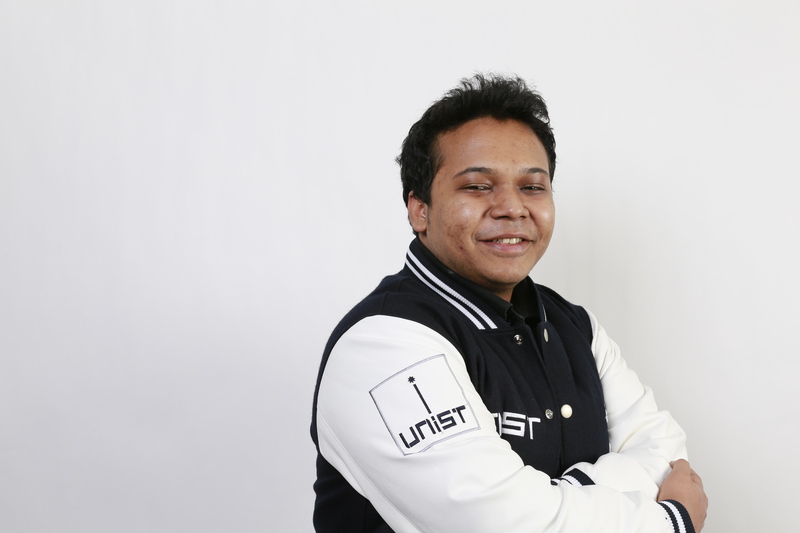 After getting admitted to several programs in the U.S., what made you decide to join UNIST? A. When deciding where to pursue graduate studies, what particularly attracted me to UNIST were the broad interests of the outstanding faculty, the state-of-the-art research facilities, and the friendly and international atmosphere of the Electrical and Computer Engineering department, and the openness to foreign students. Moreover, UNIST provides excellent scholarships and research grants which are of utmost importance to me. I wanted to support myself financially through graduate school and this was the primary reason why I decided to decline the offers of admission from Michigan Technological University and the University of Minnesota because then I would have to be financially dependent upon my parents. Q. What does it mean to you to receive the Samsung HTP Award? A. I feel extremely honored and appreciative for receiving this significant award, as I am one of the only two international students in South Korea to receive the award, this year. This award has encouraged me to keep moving forward with my future endeavors in my research work and other outstanding engineering projects. I hope my experience can influence and encourage other international students at UNIST. Q. What dreams do you still hope to achieve? A. The computer engineering field and specifically the hardware design research is currently not happening in Bangladesh to a great extent and lagging behind in comparison to that of the developed countries like South Korea. After gaining adequate research experience and proper knowledge, I plan on returning to my country to start a hardware design company, which will provide opportunities and platform to the motivated and prospective graduates in my country.